Dr. Chen Youth Masque delivers potent hydrators derived from herbal botanicals to the upper layers of the epidermis in a soothing cream gel masque. This formula is so concentrated that only very small amounts are needed for each application. One tube lasts a long time! “Hero ingredients” such as salicylic acid, a gentle natural exfoliant, and barley, which has exceptional moisturizing properties, leave skin feeling supple and soft, while locking in moisture. It also contains skin-rejuvenating antioxidant Vitamins A, C, and B5. Many typical store-bought skin care products treat your skin like a paint canvas, coating it with mineral oil, animal by-products, and other large particles. This actually accelerates the aging process because your skin is unable to breathe and function properly. As a result, your skin grows weaker and more prone to the visible signs of aging. 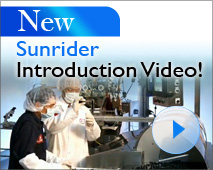 Our Sunrider skin care formulas are vastly different from run-of-the-mill skin care products. These special skin care treatments address all of your skin care concerns using the finest herbal extracts. 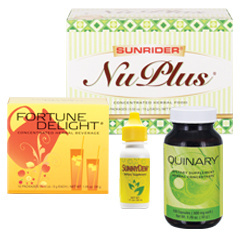 Sunrider never uses harsh ingredients such as retinol and hydroquinone, which can damage your skin. Our unique skin care products are exclusively formulated with safe, all natural ingredients to promote skin health and beauty. Dr. Tei-Fu Chen and his wife Dr. Oi-Lin Chen, MD, are the brains behind Sunrider, and they understand that skin is something vital and complex. Skin is actually the largest organ in the body. It breathes, absorbs nutrients, and expels waste. Like the rest of our organs, skin must be nourished, cleansed, and balanced to function at its best.